Pictured in solid Cherry with our Sangria finish, the Charlemagne Lingerie Chest can be personalized in any offered wood and stain combination. 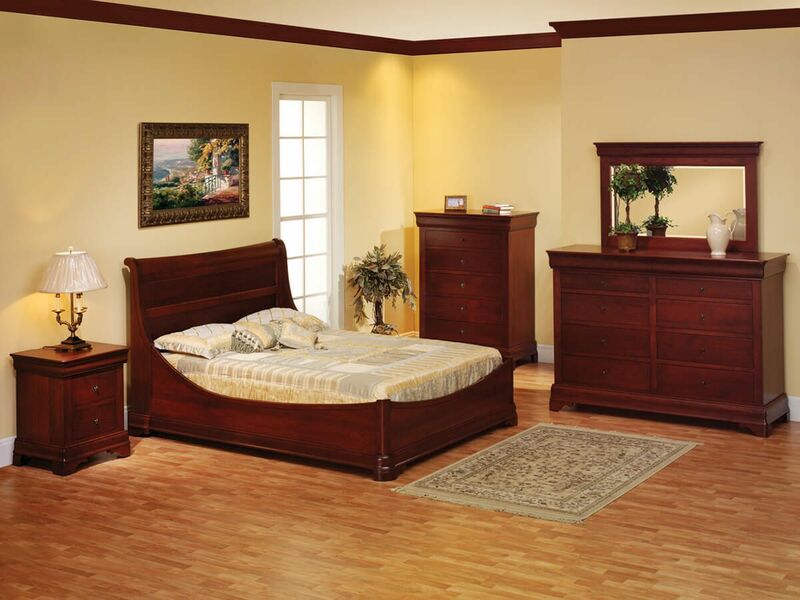 The Charlemagne Lingerie Chest combines solid wood construction with mortise and tenon joinery to ensure durability. 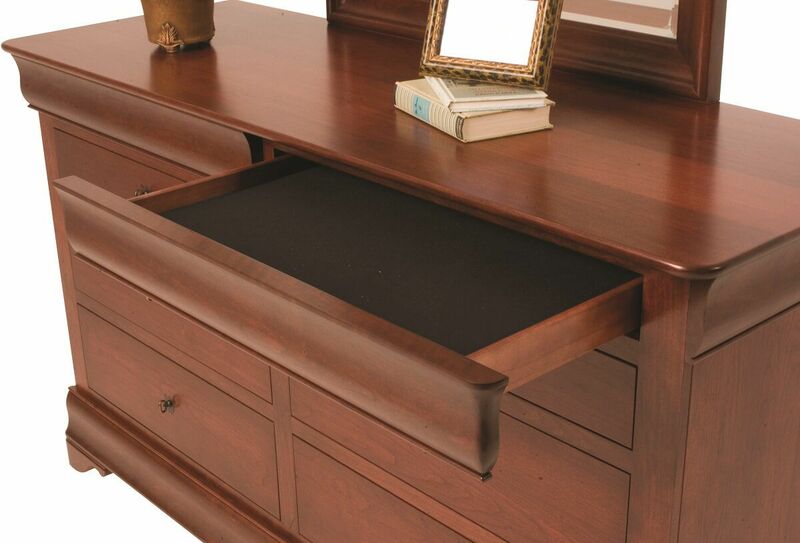 Soft close undermount slides provide a soft, controlled, and quiet closure for the drawers included with your lingerie chest. 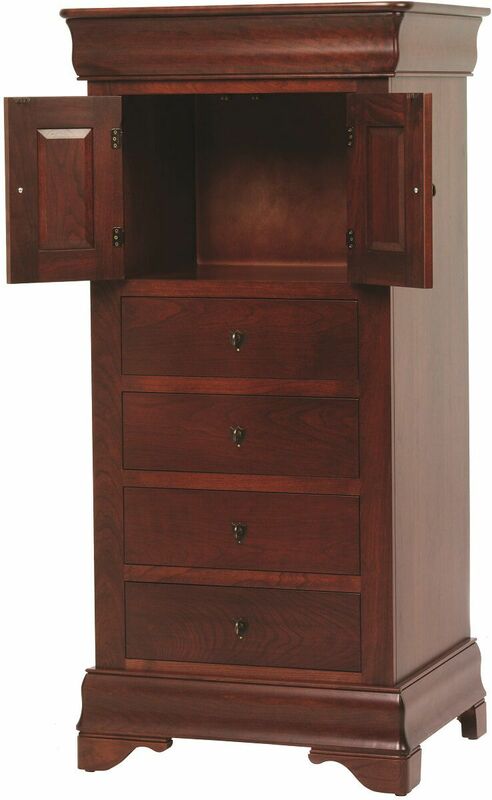 At the crown of your Charlemagne Lingerie Chest, a hidden felt-lined jewelry drawer is disguised in the trim. 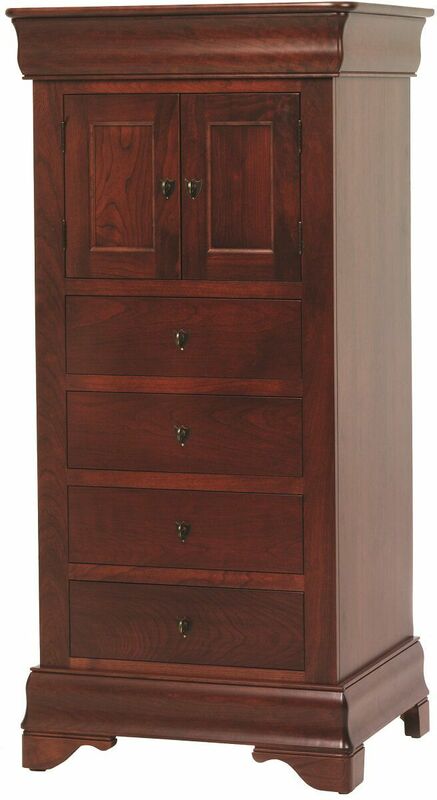 Directly below, a double door cabinet adds concealed storage above your four dovetailed drawers. 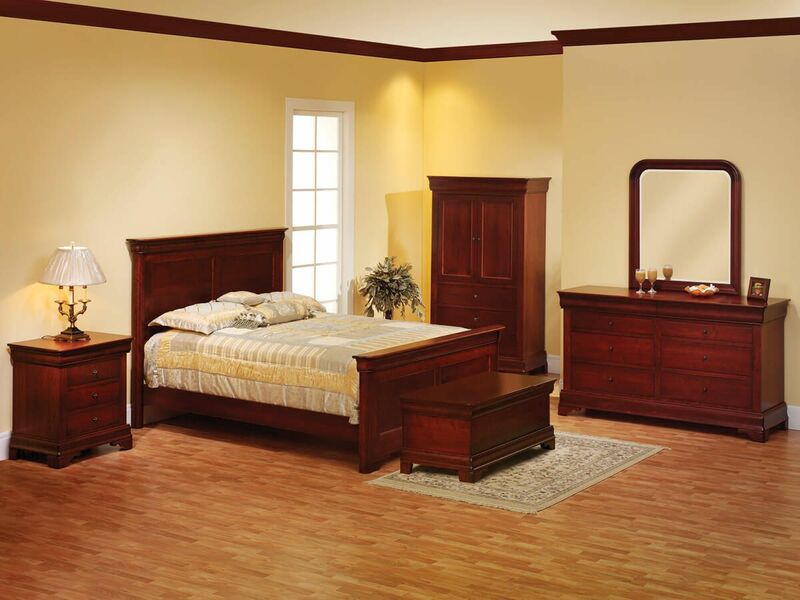 Choose a preferred wood and stain for the Charlemagne Lingerie Chest using the Countryside Amish Furniture online options menu. To aid in your decision, request real wood samples to view in the comfort of your home before making a final color decision.